ReVista | Photography for "Notes on Mexican Rock"
Photo spread to accompany article "Notes on Mexican Rock" by Humberto Delgado in the Winter 2016 issue of Revista: Harvard Review of Latin America on music. Photos were taken at a weekly outdoor street market known as El Chopo in Mexico City. ReVista | Photography for "Santo and Lucha Libre"
Photo spread to accompany article "Santo and Lucha Libre" by Gabriel Guzmán in the Spring 2012 issue of Revista: Harvard Review of Latin America. Images in this issue of the magazine include portraits taken in New York, New York, and photos taken in Oaxaca, Mexico. 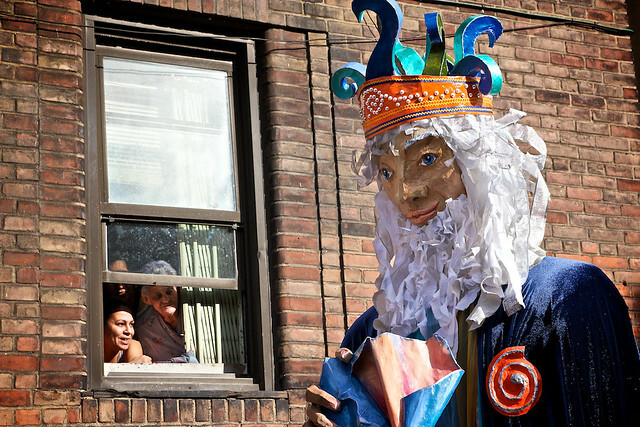 AQ Web Exclusive explores the El Museo del Barrio's 35th Annual Three Kings Day Parade in Spanish Harlem. All photos by Carin Zissis. Letras Libres - Photo in "Forjando identidades en la urbe de hierro: mexicanos en Nueva York"
Image of Radio Jarocho used in online article by Romeo Guzman and published by Letras Libres.